Two sweet options. The choice is yours. 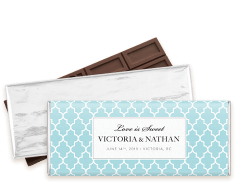 Every design we offer is available either fully-assembled with a chocolate bar included, or as just the pre-cut wrapper for easy DIY assembly. Learn more about the options we offer below. A popular chocolate bar variety. Foil wrapped for a classic chocolate bar look. Choice of foil colours available. Typically ships in 8-10 business days. Finest quality, 100% Belgian milk chocolate. Choice of silver or gold foil. Assembly required, chocolate not included. Includes wrappers, foils, and instructions. Assemble with a glue stick and/or tape. 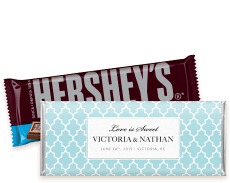 Ready to find a personalized chocolate bar for your event or special occasion? 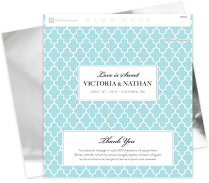 *Free digital proofs are available with normal processing orders. Fast or rush processing orders do not receive a proof so that we may expedite the printing and shipping of your order.